It’s cold outside but it’ll be warm inside at West Elm Chelsea! That’s where we’ll be this Saturday from 12pm to 5pm! Join us and help raise funds for St. Jude to find cures for childhood cancer and other life-threatening diseases. See you there! Join us at Williams-Sonoma Home in Chelsea this weekend! ‘No More Chemo’ parties are held when a young St. Jude cancer patient finishes chemotherapy treatments. Let’s help them have more of these celebrations going forward! Join us at Williams-Sonoma Home in Chelsea this Saturday and Sunday from 12pm to 5pm and help raise funds to find cures for childhood cancer and other life-threatening diseases. As part of our mission to give back, we’ll be donating a percentage of our popup sales proceeds to St. Jude Children’s Research Hospital. At West Elm in DUMBO..this is where it all began. Tomorrow marks exactly one year from when we first popped up at their beautiful new venue. 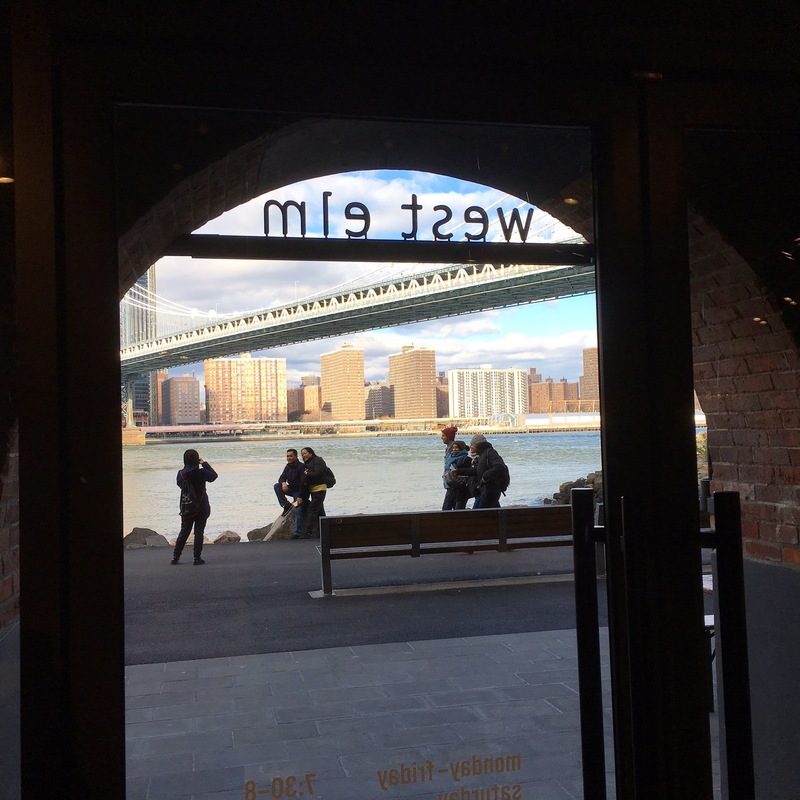 Thank you West Elm DUMBO for partnering with us! You’ve made our journey even more amazing! Our Pampering Station will be set up at West Elm DUMBO tomorrow, Sunday, November 19th, from 12pm to 5pm..just in time before our December holiday season begins. So, come by, grab a cup of coffee from Brooklyn Roasting Company and shop West Elm‘s wonderful selection of home decor and gifts for the holidays. And, we’ll have our skin care treats ready to help your skin stay moisturized and protected this Winter season. We’ll see you tomorrow! And, in collaboration with West Elm LOCAL, we’ll be donating a percentage of our sales proceeds from our Pop Ups to St. Jude Children’s Research Hospital to help find cures for childhood cancer and other life-threatening diseases. Thanks for your support! Fast Forward to the end of the evening when we were so excited to present our first donation for St. Jude to West Elm DUMBO ! Such an amazing year it has been so far and we look forward to seeing you again soon! Our best wishes to you for a wonderful holiday season! We’ll be at Pottery Barn this Weekend! Our Pampering Station will pop up in Pottery Barn on 1965 Broadway at 67th Street, Saturday and Sunday from 12pm to 5pm. Come by and get some skin-hydration in before and after Sunday’s NYC Marathon! Our Avocado Moisturizers are great for runner’s needs…that’s testimonial from a marathon-running NS Fan! And, in collaboration with @potterybarn, we’ll be donating a percentage of our sales proceeds to St. Jude Children’s Research Hospital to help find cures for childhood cancer and other life-threatening diseases. In collaboration with local West Elm stores, we will be donating a percentage of our sales proceeds from our upcoming West Elm LOCAL Pop Ups to St. Jude Children’s Research Hospital. Our donations will help in finding cures for childhood cancer and other life-threatening diseases and will help provide financial support to families so that they can focus on treatment and care for their children. Shop us at our upcoming West Elm Pop Ups and join us in supporting St. Jude’s mission.